First of all there are 2 ways to get from Bratislava to Vysoke Tatry. Either the southern way through Banska Bystrica or the northern way through Zilina. There are many arguments about which one is better or faster or more comfortable, so I will give you some tips for both of them. You get to see many interesting places while driving on the highway from Bratislava to Zilina. For example many castles or castle ruins. You can decide whether to stop in Cachtice (near Nove Mesto n/Vahom), where the "THE BLOODY LADY OF ČACHTICE - ELIZABETH BATHORY" bathed herself in the blood of young girls in order to stay young. Or in Beckov castle, which helped to guard the Trade Route along the Vah river since the 13th century. You will definitely not miss it. It's located on the 60 m high cliff on the right side of the highway. 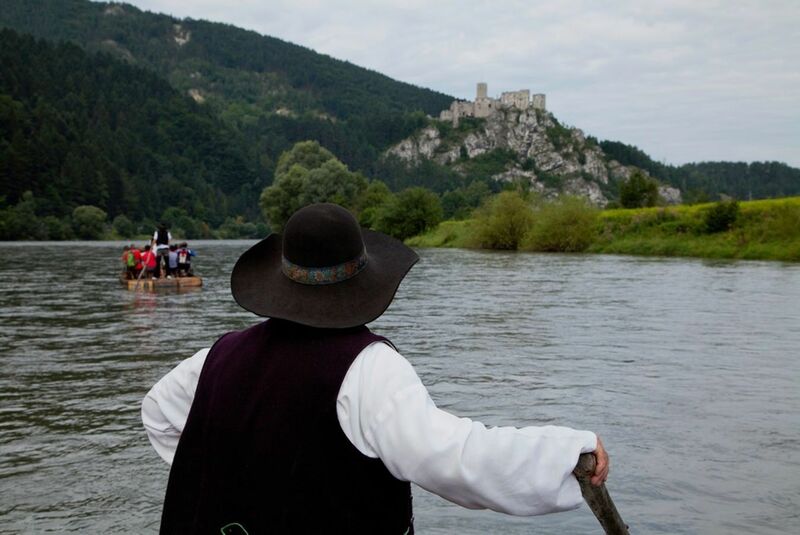 Trencin's castle history goes back to the age of the Roman Empire. It houses interesting exhibitions and It's located right above the beautiful city square with lots of comfy cafes and restaurants. Another amazing castle, Strecno, is on the way from Zilina do Ruzomberok, very impossible to oversee. Very nicely preserved ruin with lots of attractive and interesting events all year round. There is a very popular typical slovak restaurant Krajinka just before the city of Ruzomberok, where beside the food especially the kids can enjoy lots of animals living at the location (sheep, goats, cows, geese, hens, pigs and more). Heading to another highway towards Vysoke Tatry, don't miss out on the Aquapark Dino Paradise Besenova with a lot of adrenaline activities in the geothermal water. There are indoor and outdoor pools, wellness centre, restaurants and other facilities for tourists in the interesting location. If you take the southern way and you have enough time, make a stop in Nitra. This beautiful city offers a lot of attractions and activities for children and great restaurants for adults. The castle used to be the largest one in Slovakia. After passing Banska Bystrica, there are few interesting stops to choose from. 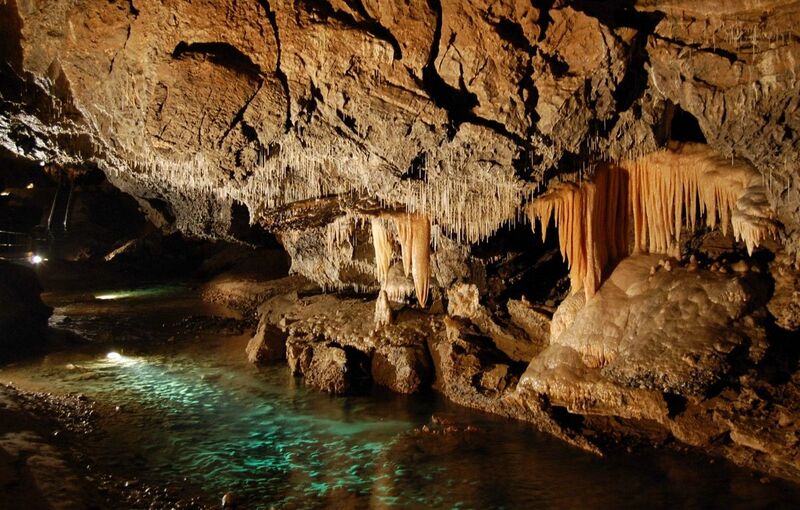 You either turn left towards Harmanec and The Harmanecká Cave which ranks among the most important caves in Slovakia by remarkable origin of cave spaces, mighty breakdown domes, high abundance of moonmilk, as well as by the number of wintering bats. Or you follow the route to the right and stop in Donovaly to have a typical slovak lunch or dinner in slovak restaurant Koliba and enjoy the beauty of middle slovak mountains. If you travel with children, make sure to go to Habakuky, the fairytale village. On the way to Ruzomberok, you may have a look at WILI HUNTER chalets Bear and Deer, in Liptovske Revuce, just don't forget to let us know sooner to meet you there. 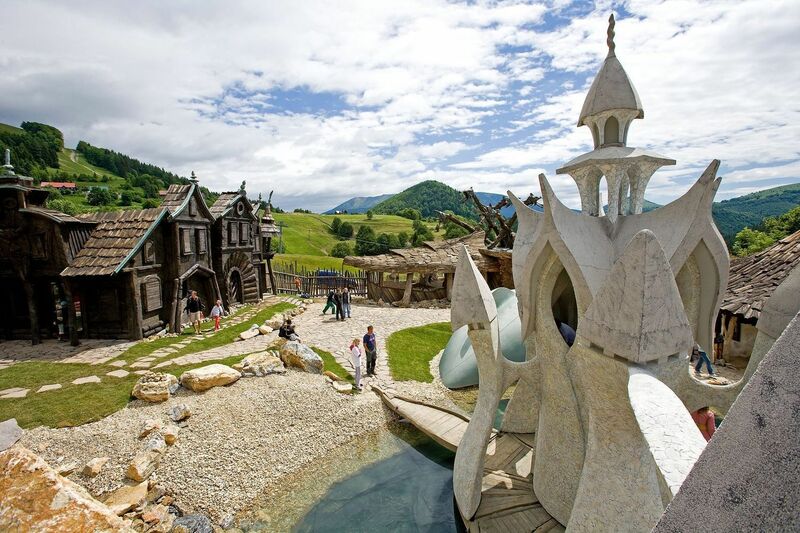 Once you get to the city of Ruzomberok, your southern route will merge with the northern one and you can enjoy either the Aquapark Dino Paradise Besenova or another one in Liptovsky Mikulas, Tatralandia. And then, tired after so many interesting things you've seen and done, come home, to WILI TATRY Apartments and enjoy you holidays in High Tatras.